Arrow Wraps are a great way to decorate and dress up your arrows. Turn those bland arrows into a statement. We will print your name, or any text up to 50 characters (inc. spaces). 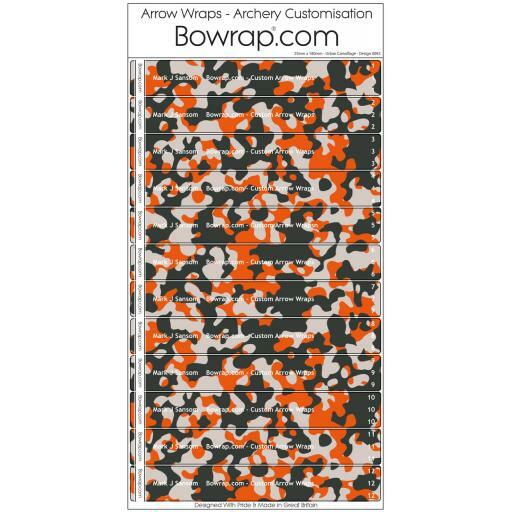 We will also number them to your specification on this awesome wrap design which features a Urban Camouflage pattern in two tone grey and orange. They look fantastic.